This month, I have been mostly running .... middle distances. 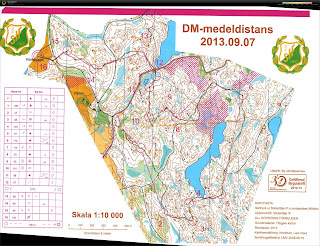 Partly by chance, and partly because of the remaining 'important' races, my targets are Swedish middle distance champs (and relay), and the World Cup final middle distance. 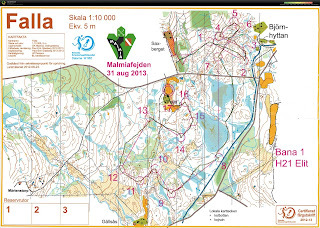 Firstly, I went up to Dalarna for the weekend and took part in Malmiafejden and Trampen. The first went very well, pretty much a clean race and a victory by 1 1/2 mins. Results. Next up was Trampen. 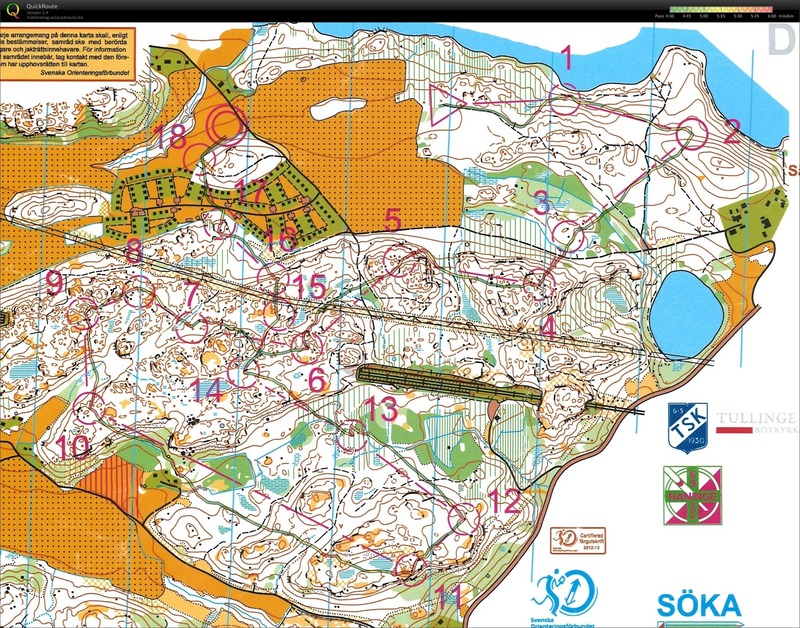 Slightly tougher competition today, and my run with 2 mistakes (15s at 5 and 1:15 at 14) was good enough for 2nd, 1:30 behind Anton Östlin. Results. 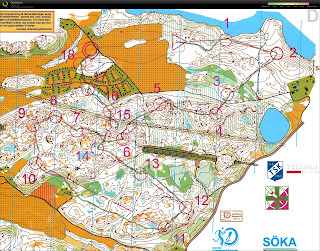 The following weekend was Södermanland district championships. This was a quite terrible race, with poor route choices to 1 and 2, a small mistake on 8, and big mistakes on 9, 10 and 15. My running speed was also not great, and I was 4 minutes behind. Results. 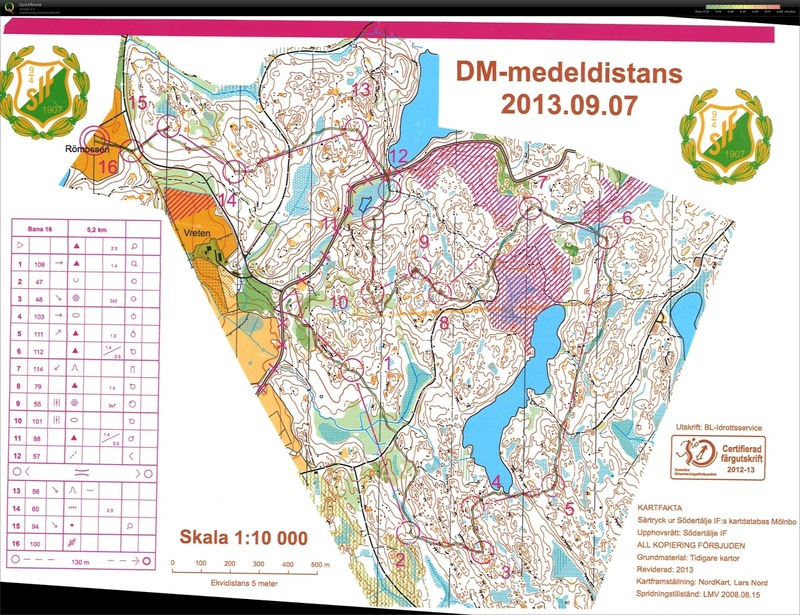 I felt much better the next day physically, and the performance was much better too at the Stockholm district champs. 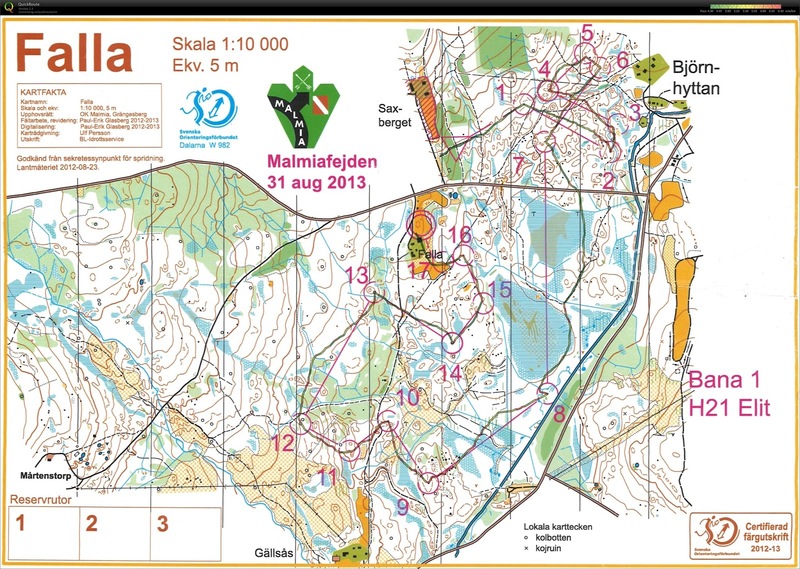 Total time loss about 3*10s, and I was 2nd (a long way) behind Gustav Bergman. Results. This weekend I organised my last big event before I leave Scania (multi-sport team-building for 30 teams), and now I am looking forward to focusing more time and energy on training and competing.